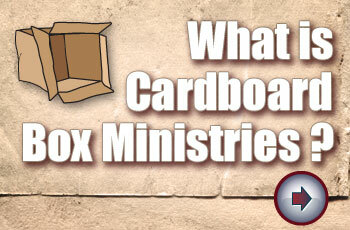 Considering a Donation to Cardboard Box Ministries? First of all, thank you for your generosity and your willingness to support our ministry of bringing hope to the brokenhearted. We are honored by the trust your gift demonstrates, and we are grateful for your commitment to God’s Word and its teaching through music and the life-changing testimony of Bobby’s story. 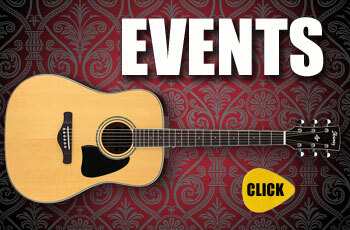 Once you’ve made your gift below you will be redirected to the Cardboard Box Ministries PayPal account. PayPal is an internationally recognized e-commerce provider, with over 100 million members worldwide. Purchasing through PayPal (either with your credit or debit card) is fast, easy, and 100% secure. PayPal has very strict procedures to ensure complete e-commerce security; this protects both the Cardboard Box Ministries and our donors. 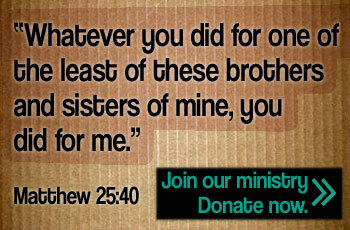 You do not need to have a PayPal account to contribute to our ministry. PayPal accepts your Visa, MasterCard, Discover, or American Express via their secure server.